It is that time of year. 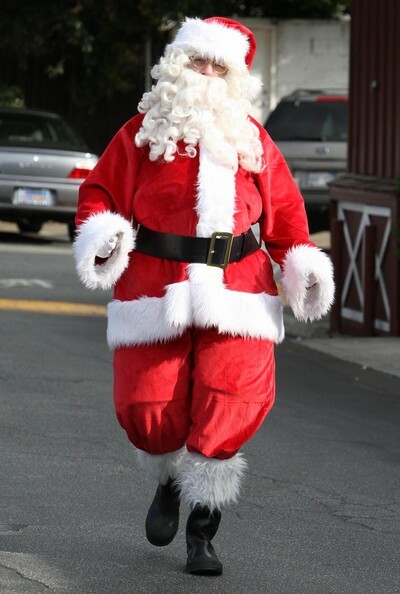 All the executives should be toting their favorite team pencil and get ready for a letter to old Saint Nick. The Winter Meetings have concluded, and as of right now, the Cubs went four hours without acquiring someone so the rest of the league can quickly exhale for a few minutes. This is the lull of the offseason right now with not much happening from right now all the way through to the Baseball Hall Of Fame Vote. 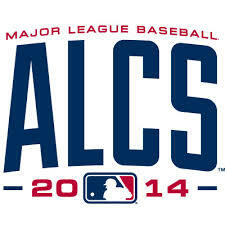 This year’s 2014 ALCS matches up two teams that not many people predicted to get to this point, but as arguably the two hottest teams in baseball, the Baltimore Orioles and the Kansas City Royals definitely will be a fun and exciting series to watch. It’s been a while since the Baltimore Orioles and the Kansas City Royals have found themselves in the American League Championship Series, but the wait for these two fan bases is finally over. These two teams will open up a best-of-seven series at Camden Yards on Friday night. Although it isn’t the usual suspects we see in the series (such as the New York Yankees and the Boston Red Sox of the world), baseball fans should definitely keep an eye on this series, as two of the hottest teams in baseball will face off to determine who represents the American League in the World Series. The success of most franchises usually occurs when a huge core is built up through a drafting system, and then the club can piece the rest of the club together. The 2nd best way to create a winning squad is to trade for players with the organizational pieces you have supplanted in the Minors or Majors. Then there is the Yankees way of doing things. Hiring Free Agents – and spend boatloads of dollars. Out of the majority of their hitting roster in 2014, most of them came through the Free Agent route. Mark Teixeira, Brian McCann, Carlos Beltran, Brian Roberts, Kelly Johnson and Yangervis Solarte were acquired through outright Free Agency. Ichiro Suzuki and Brendan Ryan were both acquired in deals, then have since re-signed as Free Agents in the open market afterwards. Alfonso Soriano, was brought over in a deal, and is in the last year of his current contract signed back in 2007. Yes, he was originally signed by the “Pinstripers”, but the new chain of transaction, had the club giving away a pitching prospect for his services, even though he is still tied to A’Rod. The bats are rolling, the starters are clicking, and the bullpen is failing. It’s no secret that the Detroit Tigers bullpen is struggling. Through the first five games of the season they have allowed 9 runs. To make it even worse, all 9 have come in the 9th inning. That’s 9 runs on 18 hits through only 13.1 innings for the bullpen. To put that into a harsher perspective, the starters have given up 8 runs on 20 hits through 32.2 innings. 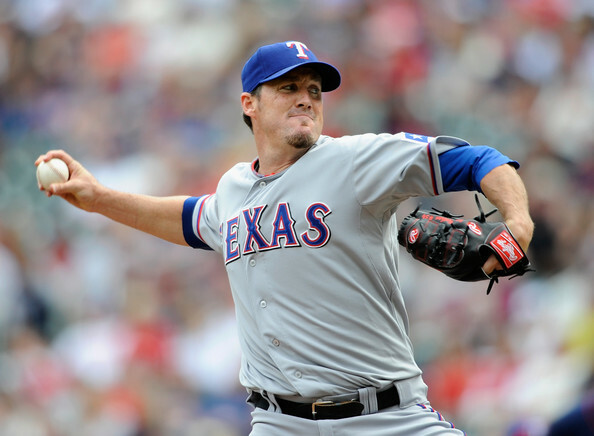 Joe Nathan is still one of the best closers the game of baseball has ever seen. The 39 year old came off one of his best seasons, registering a WHIP of .90 and an ERA of 1.33 amidst his 43 Saves and 74 SO. Nathan will also bring plenty of playoff experience to Detroit. 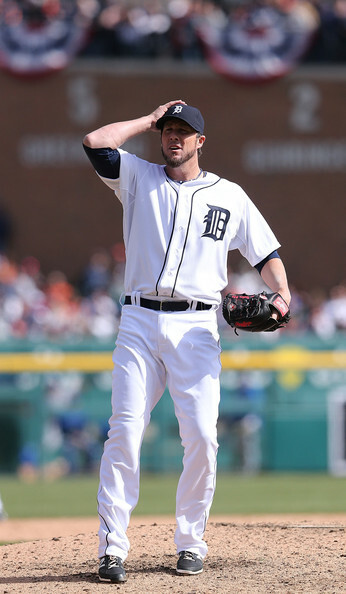 Lets just hope if the Tigers make it back to the playoffs, that he can improve in his career postseason ERA of 9.00 in 9 IP. Nathan was inked to a 2 YR Deal this winter, worth $20 MIL, with a Team Option of $10 MIL for 2016. This doesn’t end all of the teams Relief woes, but it gives them the best Closer that was on the Free Agent Market. Here we go again. Bruce Rondon is out for the year with Tommy John Surgery, Joba Chamberlain is throwing at Minor Leaguer’s, and Anibal Sanchez is hurting. No team had better Starting Pitching in the game of baseball than the Tigers in 2014, while I love their top 3 Starters again, I am worried about their depth in the rotation at the back end. The Bullpen is a lot better at the Closer’s position with Joe Nathan. Gone are Jose Veras, underrated Joaquin Benoit, Drew Smyly moves to the Rotation, and the ‘human dumpster fire’ Jose Valverde is also long removed from the relief core. Added to the bringing in Nathan, the team also signed Chamberlain for 1 year, and added Ian Krol through the Doug Fister trade. With Team Payroll already at $125 MIL without even paying the Arbitration Eligible players of Austin Jackson ($10 MIL range), Max Scherzer ($17 – $20 MIL), Alex Avila ($3 MIL), Rick Porcello ($4 – $5 MIL) and Andy Dirks ($1 – $2 MIL , the club is sure to top the $160 MIL mark – without even solidifying the Bullpen from top to bottom, and potentially starting a Rookie at 3B – while Iglesias will assume the SS (with less than a year of games played under his belt either.) Detroit still has more than $50 MIL invested on their team than any of their other AL Central foes. The team would be better off saving some money, and then pay pro-rated salaries after the Trade Deadline – in order to cash in on a 1st World Series since 1984. 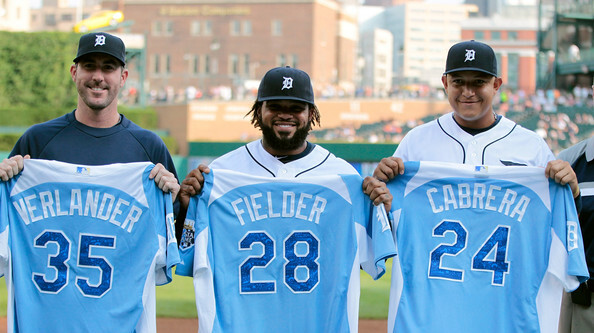 Entering the last years of their deals are Martinez, Scherzer and Hunter. I have been saying it since the club traded away Prince Fielder. It was one year too early. The club ended up forking out over $76 MIL for just 2 years of service from the big man – when you add his $30 MIL in payroll Detroit will pickup in the next 7 years, just to trade him. I am also baffled on why the Tigers traded Doug Fister. I thought the plan was to win in 2014? 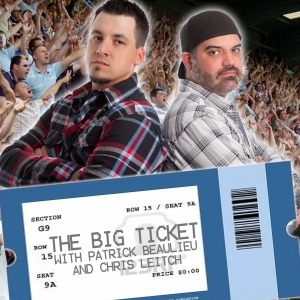 Patrick sits in as the Producer and only representative of the Big Ticket Show – and Chuck Booth joins him to break down all 30 current rankings, plus what the clubs are up to. To listen to the audio for this Click the READ THE REST OF THIS ENTRY logo or past the Triple Play Logo. Texas has fought off a July slump – and are 9 – 1 in their last 10 games. They have added reinforcements in the way of Alex Rios and Matt Garza. If they can just hold the course – and win the AL West, they have the horses and experience to challenge every other team in October. The club was the biggest mover upwards in our rankings this week – going from #10 – #4. It was not too long ago that the Rangers were sitting at just a half – dozen games above .500 – and behind the playoff bar. The races for the Divisions in the NL are becoming less competitive every week. The NL East and NL West look to be done. The Pirates are within weeks of ending a 20 year playoff drought. The Braves rattled off a 14 game winning streak – and should cruise to the NL East crown. The Athletics are in big trouble with some of their talented offensive players not putting up numbers like they did in 2012. They now find themselves in 2nd place in the AL West. Jose Veras was acquired by the Tigers today, While clearly not the big name out their among Closers, he should add depth to a Bullpen that has had monumental struggles this season. This could also lead to the Tigers picking up yet another Closer in the next 48 – 60 hours like a Joe Nathan or Luke Gregerson. All of a sudden, a negative attribute could be a positive one for the team. Veras makes $1.85 MIL for 2013, and has a Team Option of $3.25 MIL for 2014 – or a Buyout of 150K. It is an inexpensive risk for Motown. 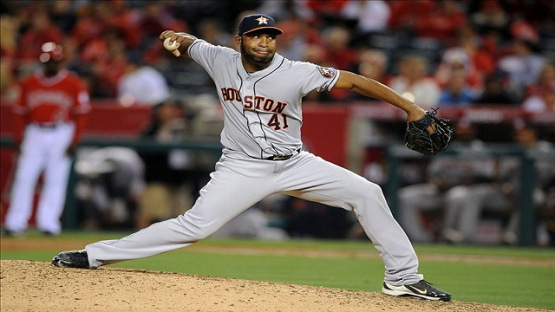 The Detroit Tigers have finally got there much needed bullpen help in the form of Astros closer Jose Veras. They sent outfielder Danry Vasquez and a player to be named later to the Astros. Vasquez, 19-years-old, was batting .281 with Low-A West Michigan before the trade. The Tigers signed him as an international free agent out of Venezuela in 2010. Derek Jeter starts the 2013 year only 11 hits behind Eddie Collins for 10th place on the ALL-Time hits list. With a possible Player Option in 2014, – and maybe playing one additional year after – can he hit 327 base knocks to pass Stan Musial for 4th place on the list by that years end? Will he play beyond this year even? 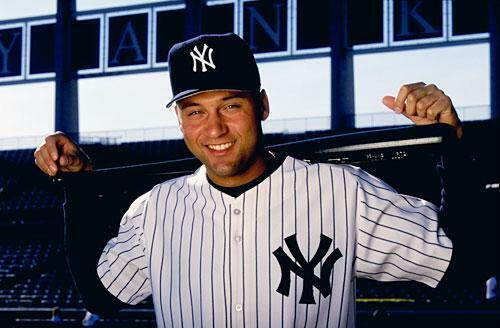 Derek Jeter was Drafted by the team in 1992 – and represents all that good drafting the team did prior to the new regime. Opening Day saw 39012 brave and tough Chicago and other natives – take in the game. The club narrowly escaped with a 1 – 0 victory against their Division AL Central Rival The Kansas City Royals. Game #2 saw the Bullpen throw 3 IP and only yield 1 hit for their effort. The Sox are not expected to contend for a playoff position – although they carry multiple time ALL – Star players on their Roster. Does everyone forget that the ‘Southsiders’ led the AL Central for the majority of the year during the 2012 season? The Tigers barely nudged them out for the Division at the end of September. The Sox are looking for payback in 2013. 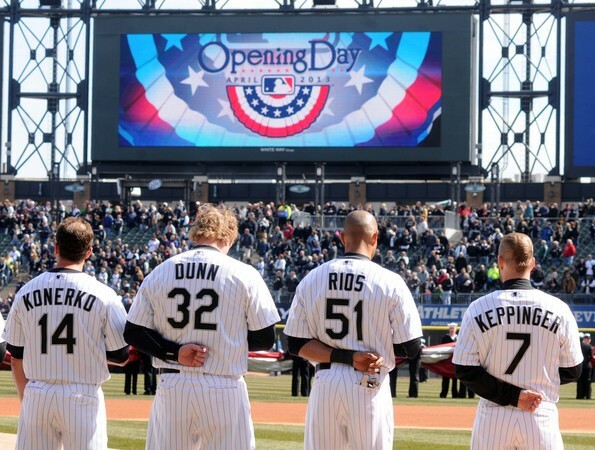 The last time the White Sox won on Opening Day by a score of 1-0 was 2005. They won the World Series that year. They beat the Royals 1-0 on Monday behind a solid pitching performance by Chris Sale and a solo HR from Tyler Flowers. Monday was Opening Day. Not that that means anything, but baseball fans are superstitious. I know I am. The Sox were 6-12 against the Royals in 2012, proving to be the Sox undoing. After their victory on Wednesday against KC 5-2, they’re 2-0 against the Royals so for in 2013. You have to understand, this is mind boggling for a White Sox fan. The Royals have been the Sox’ achilles heel for what seems like forever now. If the Sox find a way to knock around Jeremy “Catfish” Guthrie today, the world may come to an end. Guthrie posted a 0.30 ERA vs the Sox last season, but, only managed one victory against them. That’s the question on today’s edition of The Sully Baseball Daily Podcast. Subscribe to The Sully Baseball Daily Podcast on iTunes. I would never say that a team is a lock to win their division, but I will say that the Detroit Tigers shouldn’t make any vacation plans for October of 2013. They’ve won the AL Central Division for the past 2 years, and added an AL Pennant in 2012. The Detroit Tigers franchise is one rich in history winning 4 World Series titles and having legends such as Ty Cobb, Hank Greenberg, Al Kaline, and Charlie Gehringer passing through the “D” just to name a few. 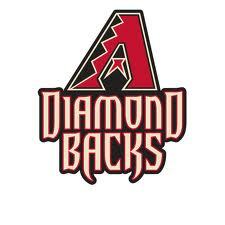 This proud franchise did suffer a lull in success somewhat recently as they had a losing record every season from 1994-2005. This included a dismal 43-119 record in ’03. The Tigers came back from the abyss and turned their team back into a winning ball club since 2006. 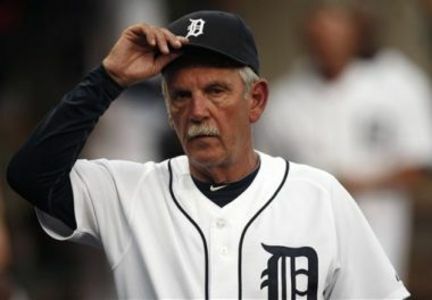 This was Jim Leyland’s 1st season managing the Tigers, and all he did was lead the team to 95 wins (a 24 win increase from the prior season) and a World Series appearance. In 2011, the Tigers lost in the ALCS, and in 2012 they lost in the World Series, so could they improve upon the previous seasons ending once again and win the 2013 World Series? Well, their roster is certainly improved from last year, but it’s all about keeping up with the “Jones” in the MLB nowadays. Every team with money is trying to make a serious World Series run this year. While the Tigers are in the weakest division in the AL, if and when they reach the playoffs, it will be a gruesome battle to endure. Kyle Holland: If your favorite sport is baseball, what more can you ask for in a game? Even if you love or hate the Giants, you can’t help but have been amazed by game 4. Any baseball fan should have enjoyed that contest. The war between the Giants and Tigers. Like the guy who sat behind home plate all series. He wore a Marlins jersey and hat to all the games. That is dedication. That is a man who loves his baseball. 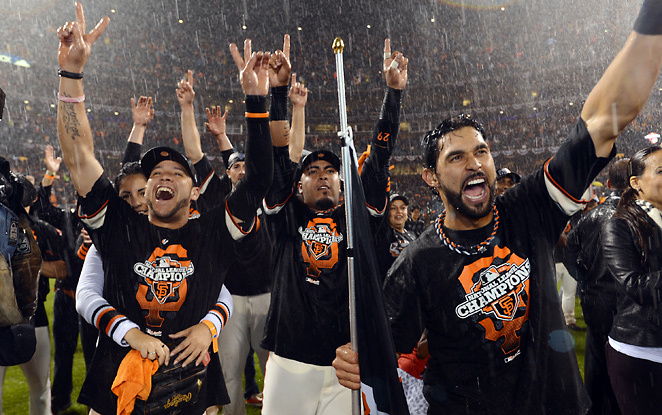 Giants vs. Tigers: Who Will Win the 2012 World Series? Who Has The Edge In The Starting Pitching Department? The Tigers’ starters go as far as Justin Verlander takes them, which is a long, long way most of the time. Thus far, Verlander has lifted his fellow rotation mates to an elite stature. 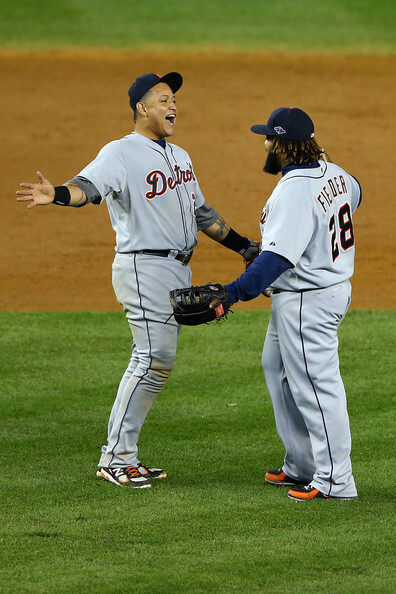 In the American League Championship Series, the Tigers posted a 0.67 ERA against a helpless Yankees’ team. But as last night proved, anything can happen in the World Series. When the Tigers are mentioned, don’t fall into the trap that their pitching is just based around Verlander. Yes, we get, the world gets it, Verlander is a god. But the assumption that he’s all the Tigers have is completely false because they wouldn’t have swept the Yankees without others contributing. 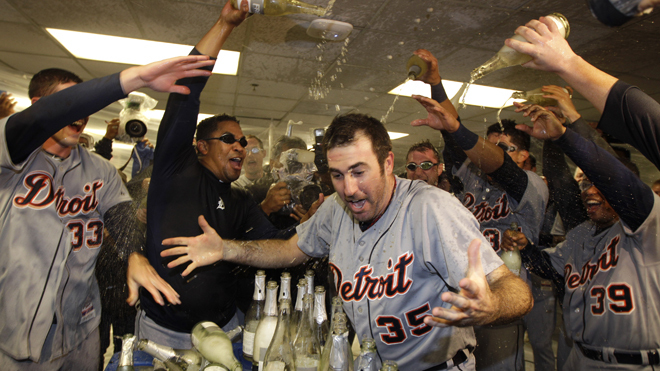 Remember, Verlander pitched just once in the ALCS. Heck, Verlander could arguably take the backseat to Max Scherzer who has only allowed one run over 11 innings so far in this year’s playoffs. After giving up 5 runs to the Giants last night in 4 innings, the Tigers showed that they cannot simply rely on Justin Verlander…or the 2012 World Series will end very quickly. After all, all sporting gods show their human side at some point. On the Giants’ side, their rotation is greatly shuffled after having to go seven games to finally derail the Cardinals, basically meaning that they didn’t have their ace in Matt Cain to oppose Verlander in Game 1. Instead, Barry Zito got the nod against the presumable A.L Cy Young winner. Please, pause for a second and digest that sentence, I dare you to. Now look at Barry Zito’s start in Game 1. 5 2/3 innings, 1 run and 6 hits. And now the Tigers still have to contend with Cain. After Zito, Madison Bumgarner will take the ball in Game 2 against Doug Fister. Bumgarner has been reeling since the end of August. In two postseason starts (8 innings), he has posted an 11.25 ERA, and in both starts, the Giants lost. However, the lefty fixed a couple of mechanical flaws during a side session last week. 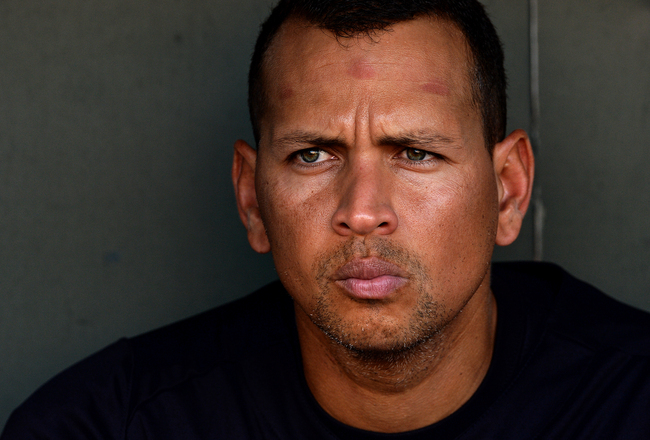 In Game 3, Ryan Vogelsong will oppose Anibal Sanchez, as the series changes scenery back to Comerica Park. Vogelsong has arubably been the best pitcher in the playoffs this year outside of Verlander, of course. In three starts, he has a 1.42 ERA, and most recently allowed just one run to the Cardinals in Game 6 of the NLCS. Sanchez has been solid up to this point as well, finally proving why he was a great addition to the Tigers’ rotation. In two starts, he has totaled a 1.35 ERA, but walked five batters in those two starts as well. The main thing to take away from here, is that Sanchez can be a bit wobbly in terms of consistency. Usually, walks are detrimental to him, as his stuff is above average. For Vogelsong, pitching on the road is the only concern with him, but Comerica shouldn’t play small, seeing as how the forecast is supposed to be chilly. Lastly, Matt Cain will make his first appearance when he opposes Max Scherezer in Game 4. What comes as a surprise here, is the fact that Cain is pitching Game 4. This likely means that he wouldn’t pitch a potential Game 7, instead Vogelsong would likely receive the honor. Both the Tigers and Giants have heavily relied on good starting pitching to get them to where they are—the World Series. However, the Tigers boast Justin Verlander; a guy who can pitch three times in this series if the Tigers desperately need him to. 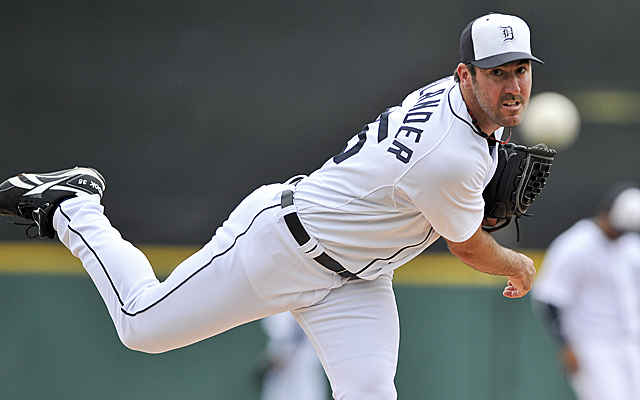 After a rough outing last night, we know that Verlander will return later in the series- hungrier than ever. Who Has The Edge Offensively? Yes, the Giants erupted for nine runs in Game 7. But the truth is, only a handful of their 14 hits were crisp line drives. Most notably, Hunter Pence’s game-opening two-run double took a wicked hop that fooled the shortstop. That hit set-up a huge inning for San Francisco. Basically, the Giants might not reap the benefits of lucky hops or bloopers in the World Series. The Tigers’ pitching staff is a bit better than St.Louis’s at the moment, meaning that runs are going to come at a premium. You wouldn’t know it, with the Giants scoring 8 runs in Game 1 of the World Series, with Pablo Sandoval connecting for 3 home runs. But the tide could just as easily turn in game 2, with Doug Fister silencing the Giants bats. If the Giants are to win this series, their bats better stay scorching hot. 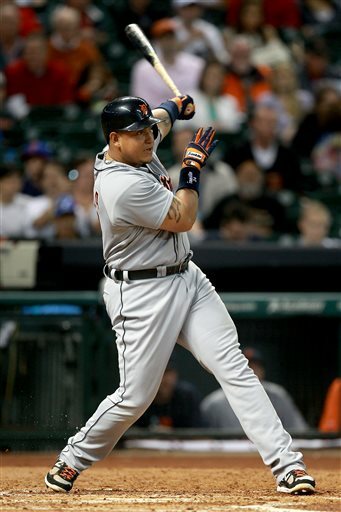 The Tigers obviously have the most dangerous weapon of all in Miguel Cabrera. Cabrera hasn’t been dominant per say so far in the playoffs, but that’s mostly due to the fact that opposing pitchers have elected to pitch him extremely careful. Buster Posey has received the same type of treatment. And with Pence struggling, it’s likely that the Tigers will continue to pitch around Posey until Pence proves otherwise. The presumable N.L MVP winner hit just .154/.267/.154 in the NLCS with just a lone RBI. He did go 2-4 last night with 2 singles. Hopefully a sign of more to come. Now, onto Marco Scutaro, the NLCS MVP. Hitting exactly .500 with 4 RBIs, Scutaro carried the Giants’ offense. Also carrying the Giants’ offense, Pablo Sandoval hit .310 with two home runs and six RBIs. If it wasn’t for Scutaro, Sandoval probably would have won the MVP. Both men have started off hot in the World Series and with no surprise, the Giants got a big win in the process. But the Tigers’ offense is dangerous in many facets. They can beat you with the long ball, big innings, and high hitting outputs. Delmon Young has produced eight RBIs in the playoffs, and Austin Jackson has scored seven runs, acting as the catalyst in the Tigers’ lineup. Timely hits are going to be key in this series. Both of these teams like to score runs early, and both can bust out for big innings. Despite a big game last night from the Giants, I am still trusting the Tigers bats more in this series. Who Has The Better Bullpen? This category is a tad more simpler to predict, even with the emergence of Phil Coke taking over the closer’s role for the Tigers. The Giants’ bullpen has simply been better. At time during the regular season it was a major concern, but now, it’s a major strength. Armed with Tim Lincecum as the versatile swingman, Bruce Bochy can call upon several weapons to close the gap. Jeremy Affeldt and Javier Lopez combined have pitched 11.2 scoreless innings. Sergio Romo has a save and has only given up one run over 7.2 innings, and Santiago Casilla has allowed just one run over 5.2 innings. The only rough spots for the Giants has been Guillermo Mota and Jose Mijares, who have given up four and three runs, respectively. 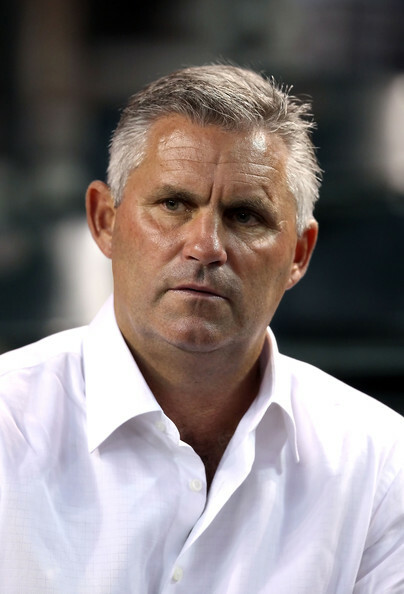 As for the Tigers, Jose Valverde has surrendered seven runs in 2.1 innings, and was stripped of his closer’s duties in favor of Coke who has been a pleasant surprise for Jim Leyland. This series predicts to be a starting pitching heavy type of series, but the bullpens will still play a major role. The Tigers just have too many question marks, especially with Coke’s lack of experience as a closer.